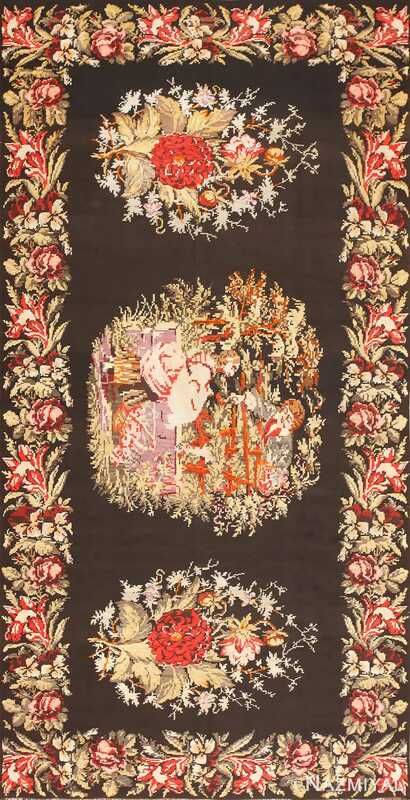 Antique Romanian Rugs – Across Europe, rug making has been an important aspect of cultural heritage. This is particularly true of Romania, where the word for carpet is “scoarta”. 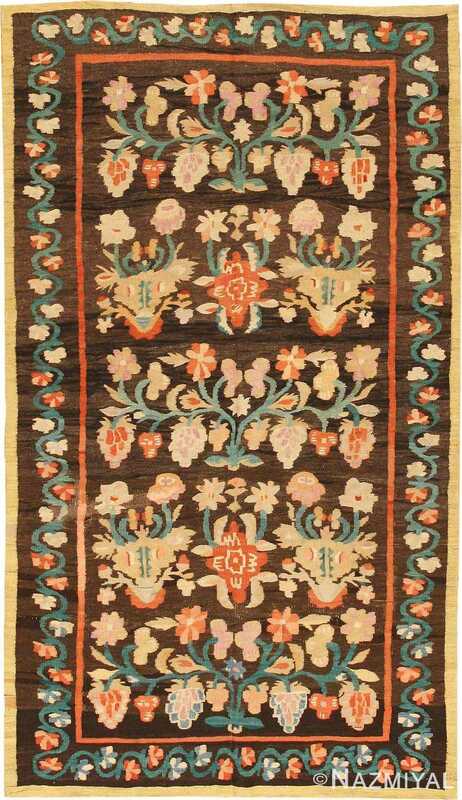 Romanian rug makers use the kilim technique. 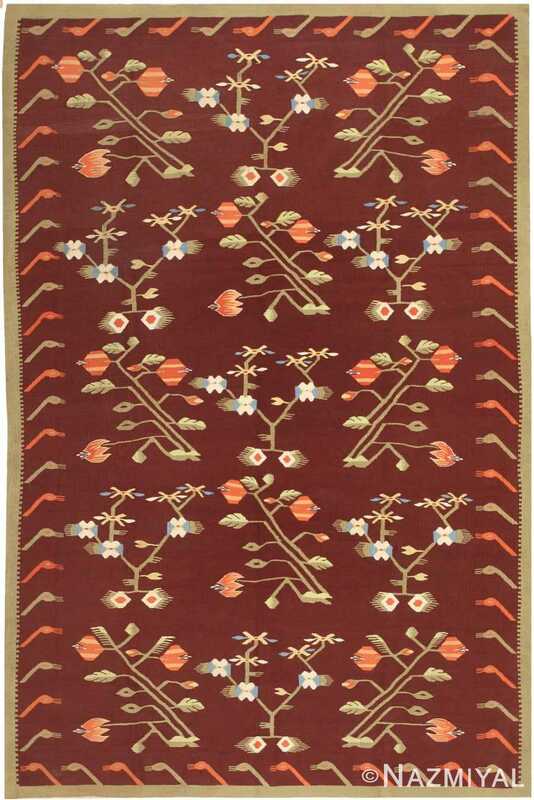 The Turkish word kilim denotes a pileless textile produced by a flat-weaving technique. 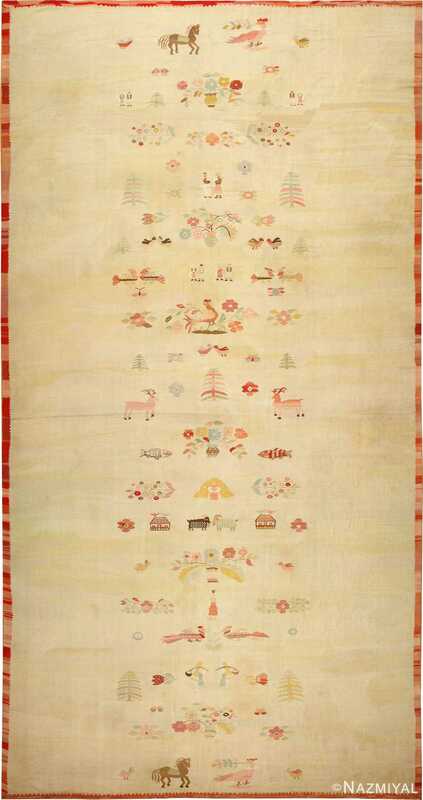 These Romanian rugs, that are usually refereed to as Bessarabian kilim rugs, were traditionally made as gifts for family members and were often passed down through generations. Made in 3 main regional traditions, Oltenia, Moldova and Maramures, these rugs represent a beautiful extension of Romania’s cultural heritage. 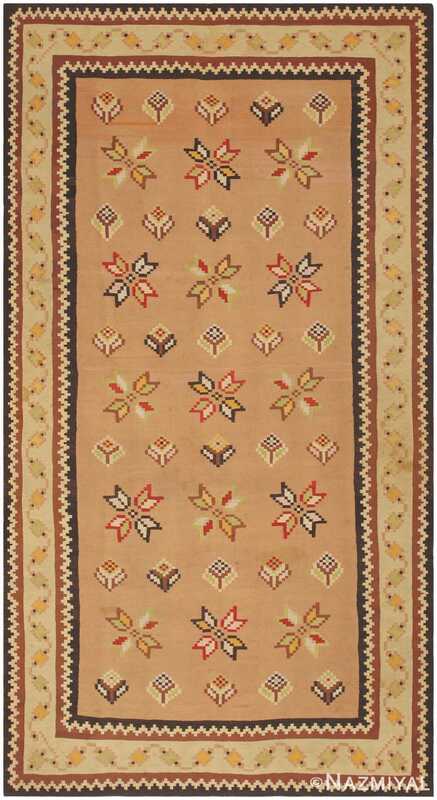 The Romanian Oltenia rugs were produced in the Southern Romanian province of Oltenia, these vibrant rugs are known for using predominantly strong colors such as red and blacks against green or sandy-colored backgrounds. 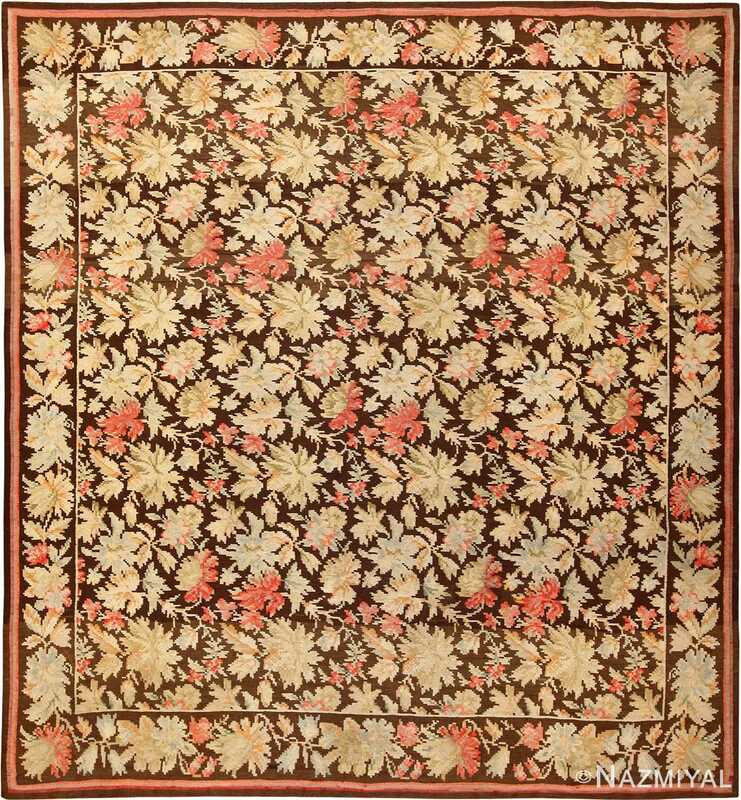 The Romanian Moldova rugs are much rarer than their counterparts from Oltenia and are known to feature floral motifs. 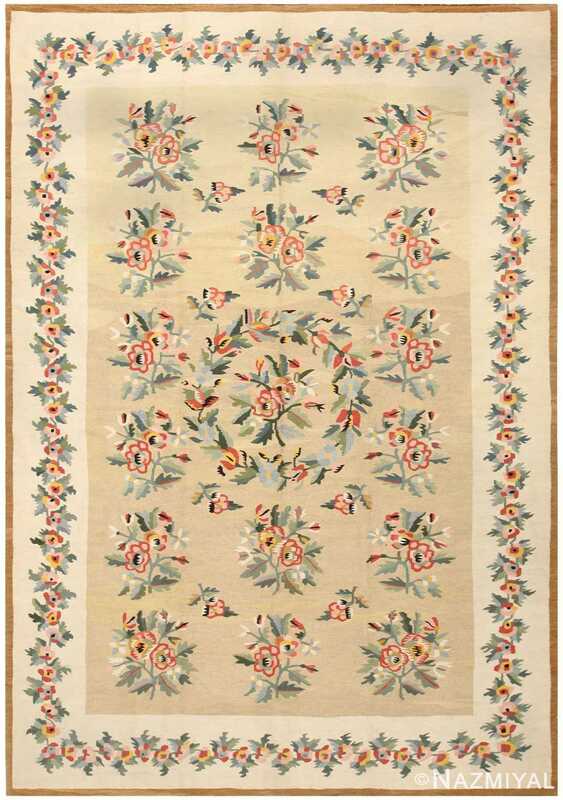 Roses are particularly popular in Moldovian designs, but one can also find lilies, blossoms, grapes and leaves. 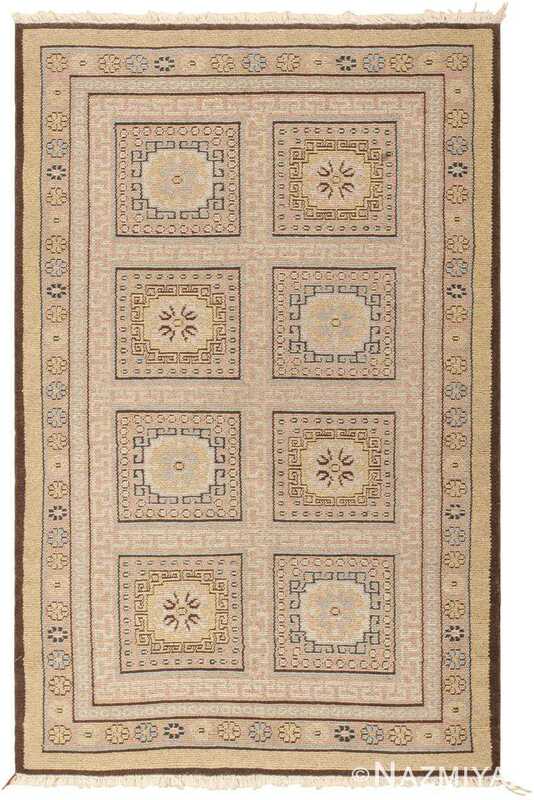 The colors used in these Romanian rugs are often softer, with dark brown or light cream backgrounds. 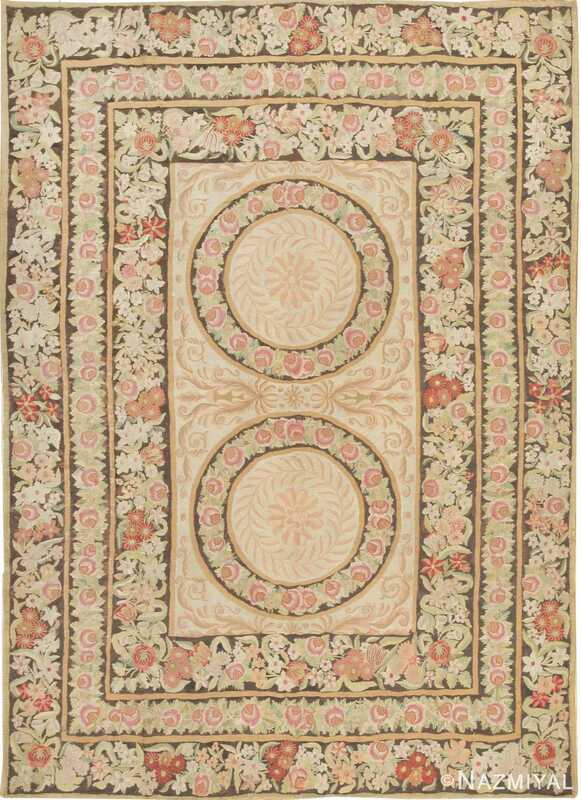 The geometric designs, floral motifs, and subdued colors make Moldovian rugs easy to spot. 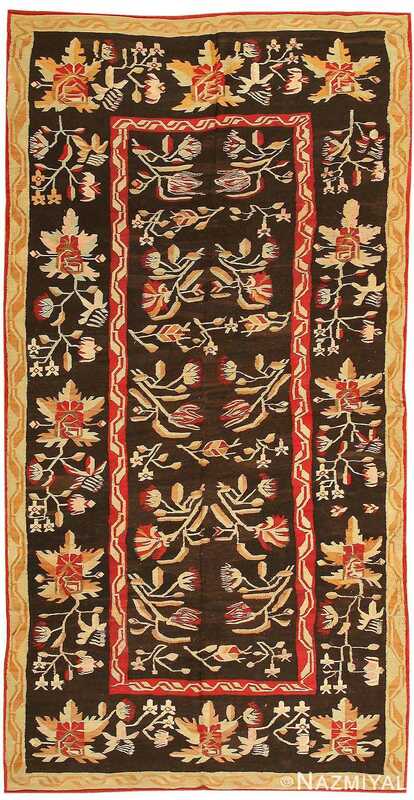 The Romanian Maramures rugs were made in Northern Transylvania and often feature designs that borrow heavily from Oriental rug makers. 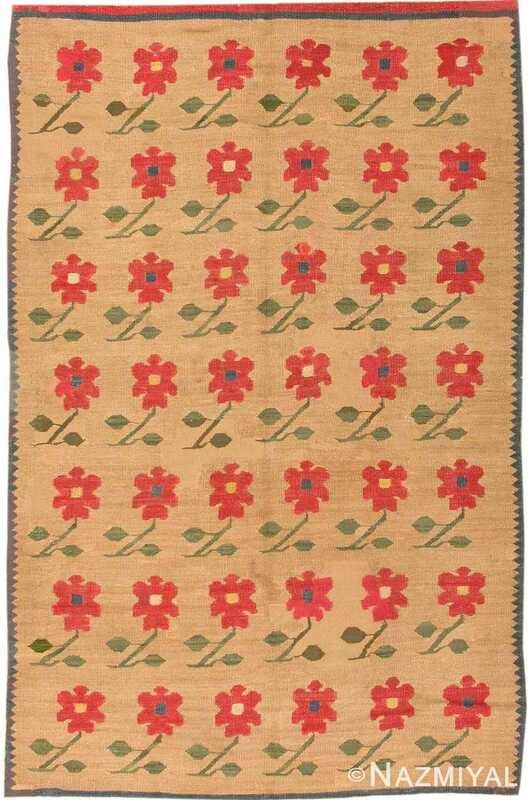 Animals and flowers are common in the Maramures rugs from Transylvania, though some geometric designs can be found as well. 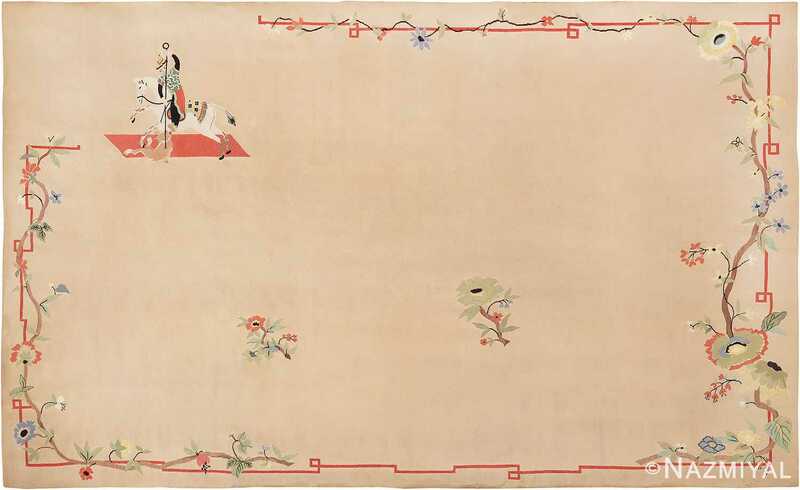 The style of weaving used to produce these rugs allows for a beautiful two-sided display, rather than resulting in a rug where only one side is presentable. 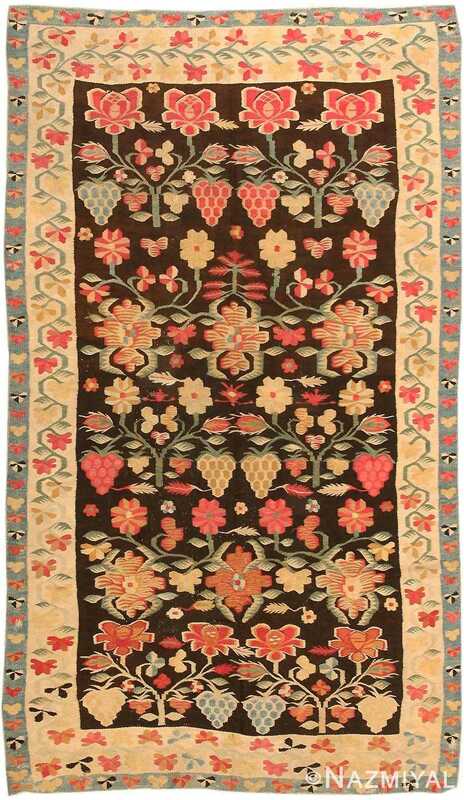 Traditional rug making is one of the most enduring ways for people to pass on their cultural heritage and beliefs. Though often distinctive according to the region where they were produced, hand-woven rugs do more than decorate walls or warm beds. They remain a constant reminder of bygone days and otherwise forgotten tradition. 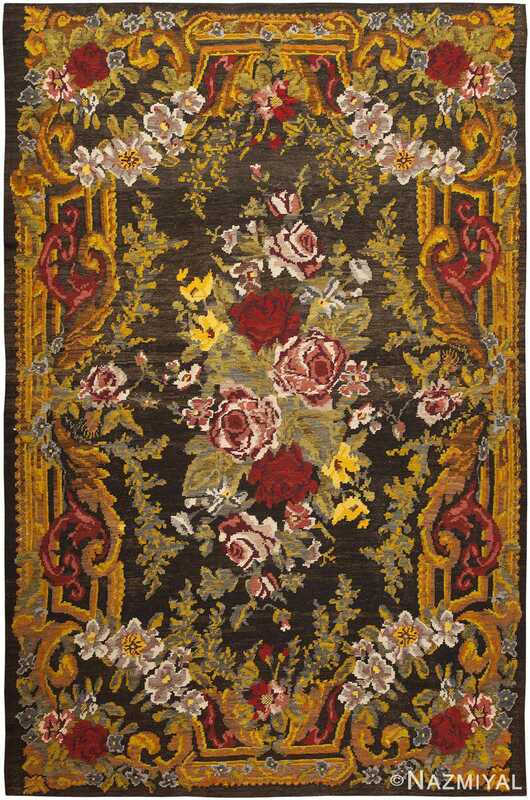 Often handed down for generations, many well-cared for rugs will fetch large sums of money from art collectors and museums. To descendants of these Romanian artisans who wove and hand-dyed the rugs, they are priceless artifacts that offer future generations a sense of tradition and continuity. 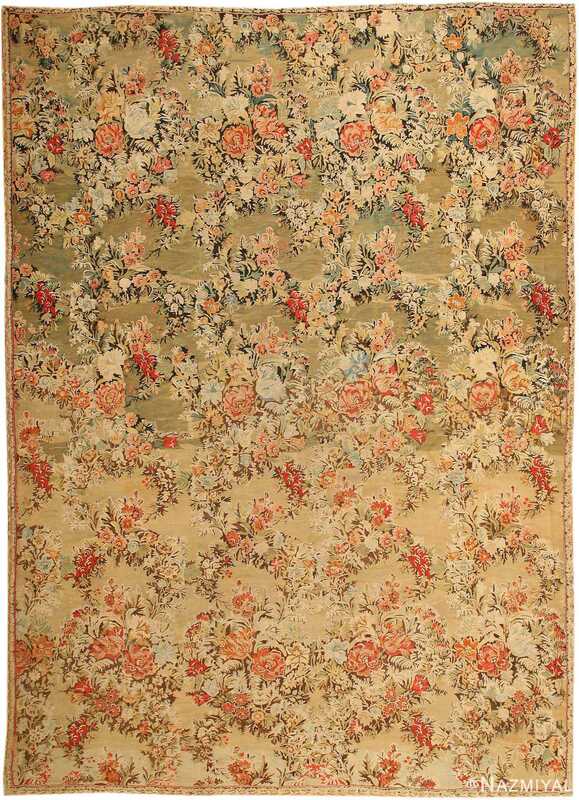 Although rugs are technically textiles, they deserve their own category. 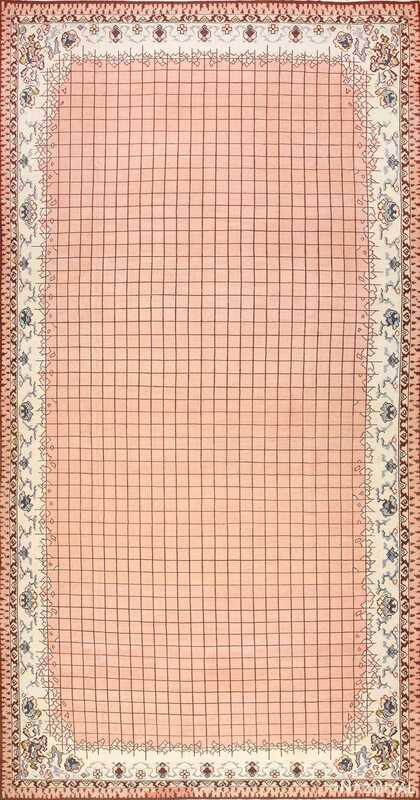 The antique Romanian rugs are made as flat weave rugs or kilims. They were probably introduced by the Ottomans hundreds of years ago. Today’s weavers in Romania mix yarns dyed with both vegetables as well as commercially dyed carpet yarns in order to create startling accents within the traditional patterns. 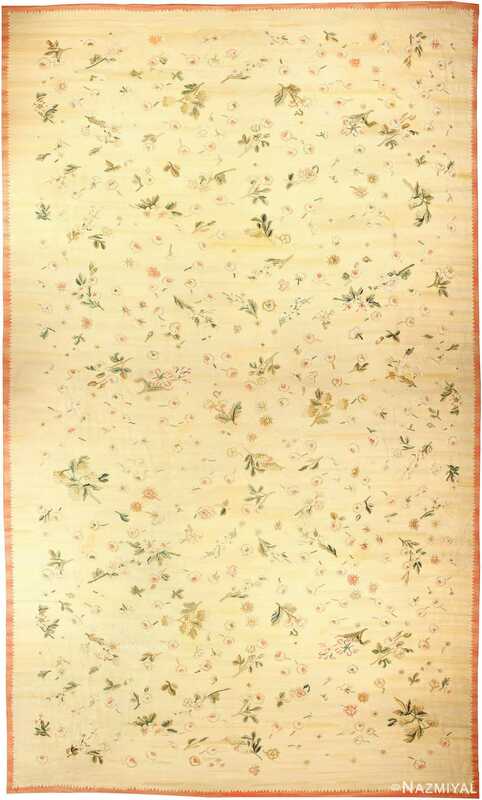 The Romanian rugs made in the Oltenia region reflect nature and include flowers, birds and trees. 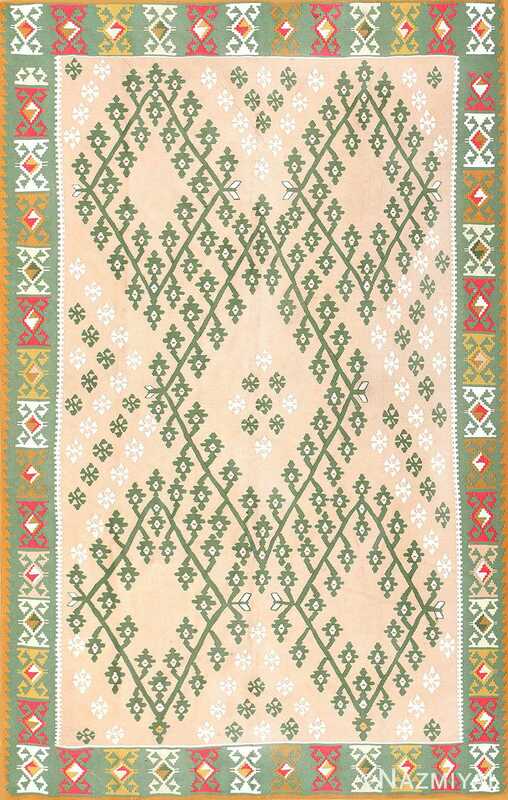 The Romanian rugs that had been woven in the Moldova region feature branches in rows, creating a tree of life. 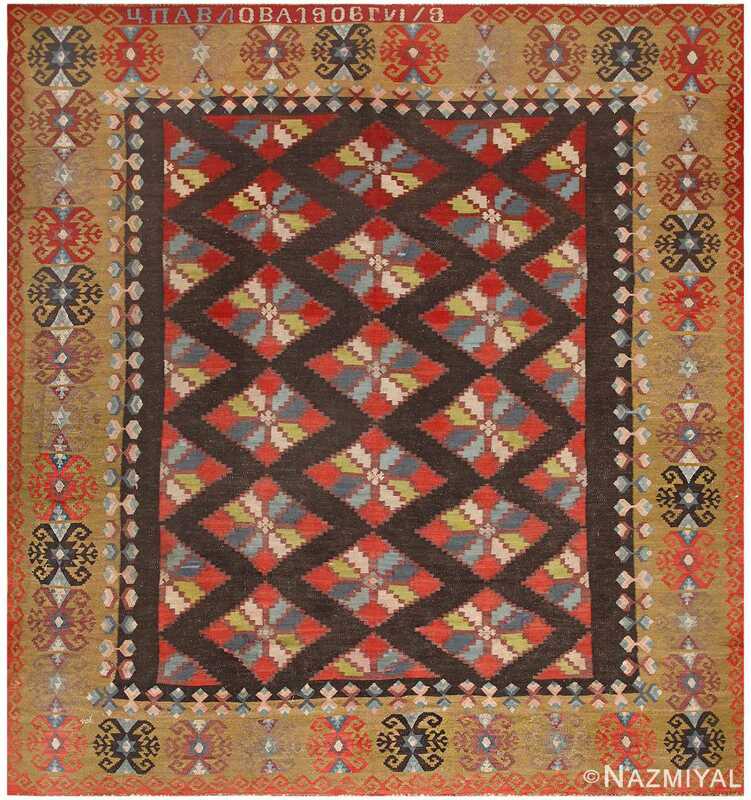 Romania woven rugs from Maramures feature geometric shapes that resemble the Caucasian Mountains and reflect Turkish cultural influences. Near the Bran Castle museum in Romania and its adjacent street market, a peasant’s cottage offers a window with a view. An elderly lady sits at her carpet weaving loom and watches the people pass by. This woman weaver invites visitors into her home if they express interest in her hand work. The woman’s daughter speaks English and is able to explain that the weaver is 74 years old. She has been weaving since the age of 7. When she weaves, she uses thread that she spun by hand from the wool of the sheep that she raises in her enclosed courtyard. Her work room is also her bedroom. The room boasts magnificent throws and blankets that she has made over the years. While not for sale, they are priceless examples of her craft and expertise. Weaving textiles is the most commonly practiced craft in Romania. The skills have been passed from one generation to the next. Each family has its own distinctive patterns. Each district is also known for certain patterns. Most homes still have looms. Women spend their leisure time weaving and embroidering the same patterns that they learned when they were children. Most of the woven fabrics are made of wool and cotton threads. The women create Romanian rugs, wall hanging tapestries, table covers and clothing. The older weavers tend to make their own hand-spun threads, while the younger weavers typically purchase their threads from other people in the community. The women weavers of Romania typically weave and embroider all of the linens, window coverings, wall decorations, upholstery and clothing that their families use. Near the village of Sibiu, brides still contain a tolic. This is a piece used to decorate the horses that deliver the wedding invitations. ibiu uses graphic black and white motifs that reflect the area’s Saxon heritage. The regions of Arges, Mscel, Dimbovita and Prahova use red, black, maroon, yellow, gold and silver threads that reflect the cultural influences of the Ottoman Empire. Buzau’s embroidery makes use of terra cotta threads. Oas’s uses green, while Moldovan embroideries have a lot of orange. The Vornet embroideries are typically blue. Cut white embroidery on ecru linen or cotton is created throughout Romania. 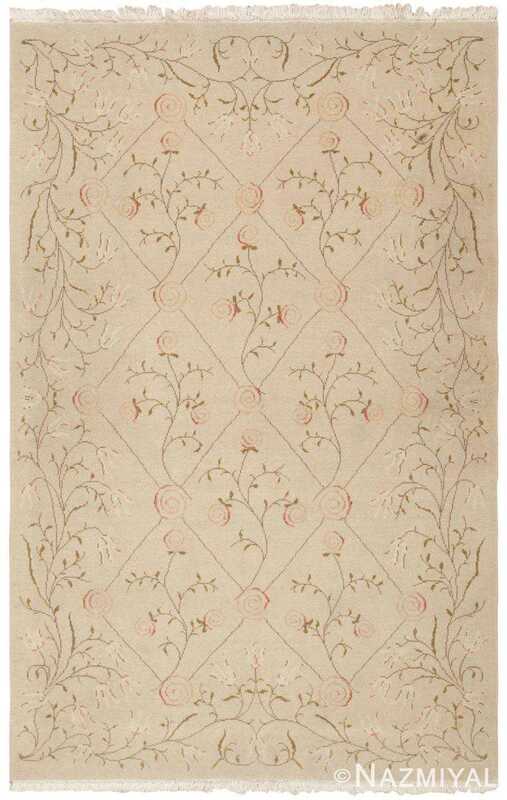 This Bessarabian rug features traditional roses, dramatic bouquets and ivory vines that contrast strongly against the solid field. 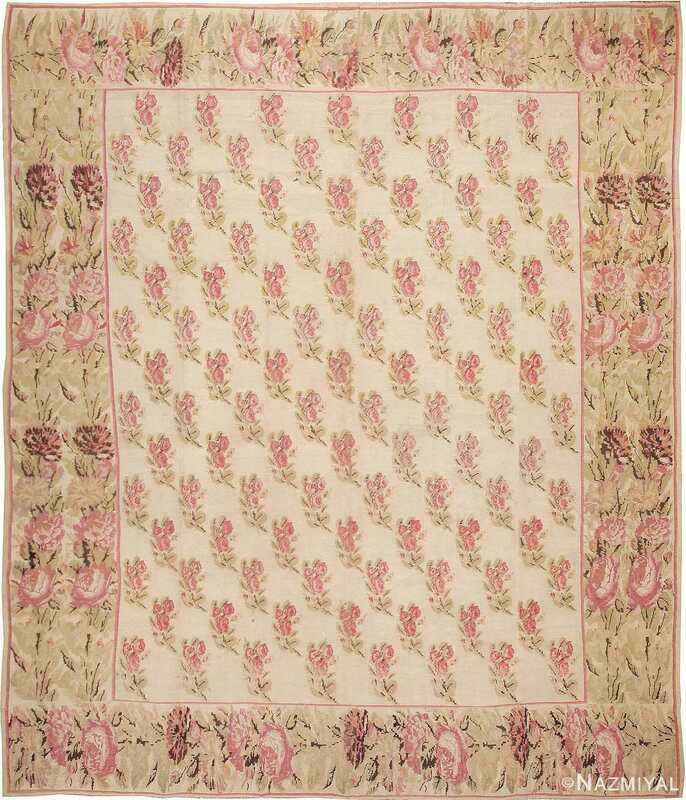 This wonderful antique Bessarabian flat woven kilim rug from Roumania has a lovely array of floral sprays surrounded by a vine scroll border.